Two buildings – Botcherby Community Centre and Edenside Barn – were included in the initiative to demonstrate where state-of-the-art flood resilience solutions currently stand. Through its Knowledge Transfer Partnership (KTP) with Oxford Brookes University, Aquobex is working to provide insurers and developers with empirical data to help inform the selection of products and installation methods in order to achieve a flood-resilient interior. The two-year project will examine a range of building material characteristics, including saturation, drying, temperature and the impact of flooding – delamination, leeching of materials and decomposition. A better understanding of how individual components react to floods and drying will help to inform how they might work together in an installation. 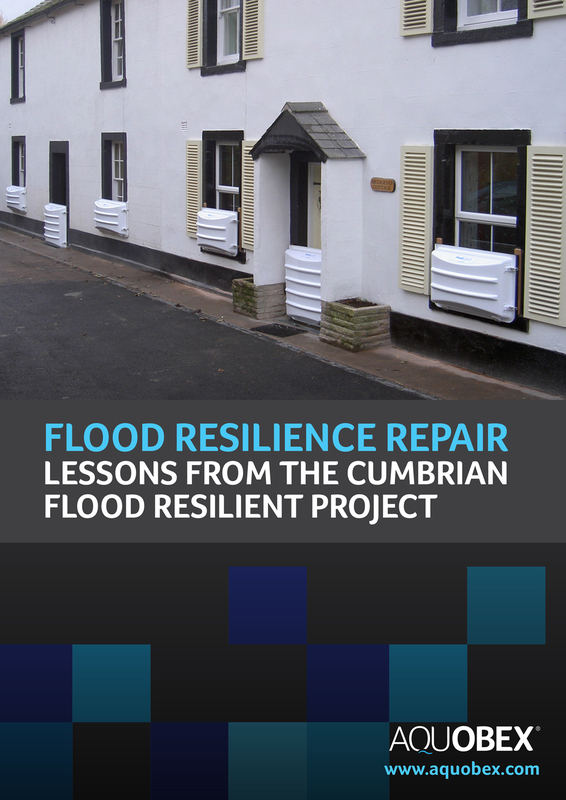 The ebook covers the work to date at Edenside Barn, where floodwaters can reach a metre in depth and overtop the existing Floodguard barriers that have been in place for 10 years, and how the different elements of the installation have been tied together. It also looks at some of the lessons learned from the project so far, from managing each step of the process, working with contractors who are installing products and the need for verified testing of proposed designs for different house and flood types. The main lesson from the Cumbrian project, though, is that effective flood-resilient design can be both good looking and in tune with modern aesthetics.